Welcome to the South East Europe 2050 Carbon Calculator! By the year 2050 we need to dramatically change the way we produce and consume energy. We need to do this in order to reduce the level of greenhouse gas emissions and avoid the dangerous consequences of climate change. 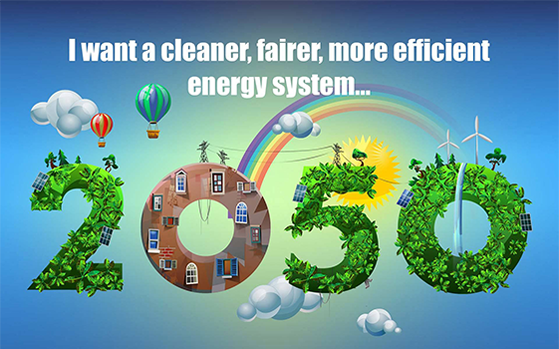 The EU 2050 Energy Roadmap envisages reducing greenhouse gas emissions by 80% from 1990 levels. This goal is important for the countries of South East Europe because of the necessary adjustments that need to be made as a part of the EU accession process, as well as obligations that come with the future membership and collective effort to prevent climate change. The 2050 SEE Carbon Calculator lets you create your own energy pathway and energy future for any of the given South East Europe countries. The calculator allows you to consider the choices and trade offs we face, as well as the steps we need to take in order to reach the future we want. It covers all parts of the economy in terms of energy production and consumption, as well as all greenhouse gas emissions released in the countries of South East Europe. The Calculator models a range of physical and technical potentials in 10 different sectors and 45 different parameters for each country. It is based on collected scientific and engineering data that was subject to consultations with national, regional and international organizations, representatives of expert associations, academia, as well as relevant ministries and institutions from the SEE countries. The assumptions and data that the SEE 2050 Calculator is based on are available here. The purpose of the SEE 2050 Calculator is to enable dialogue and to choose the best energy pathway for the future, with the goal to reach the CO2 emission reduction target of 80% compared to 1990 levels. *According to the UN, Kosovo is “under the United Nations Interim Administration Mission in Kosovo (UNMIK) established pursuant to Security Council Resolution 1244.” Here it is referred to as "Kosovo".